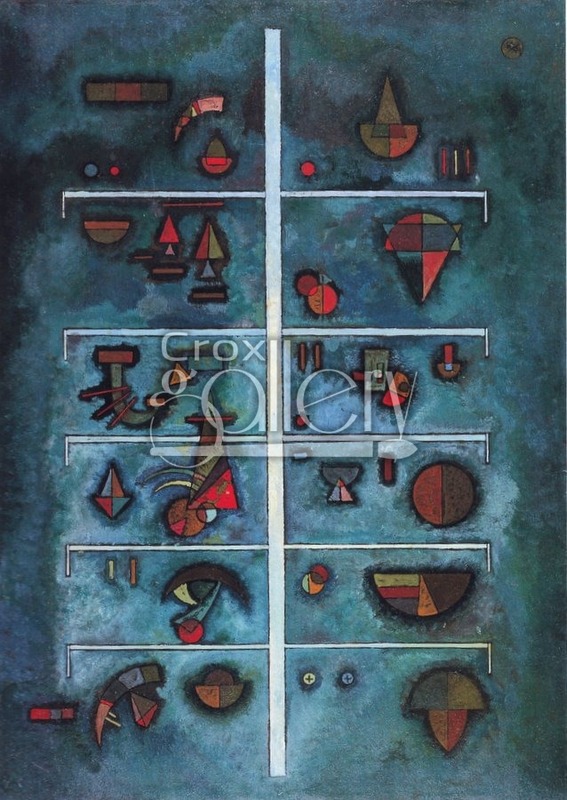 "Floors" by Kandinsky, Hand-painted on Canvas. The name of this particular piece, ("Floors") is taken from the shape of its figures. There is also a silhouette of a skeleton in the center of the painting at various levels of height. 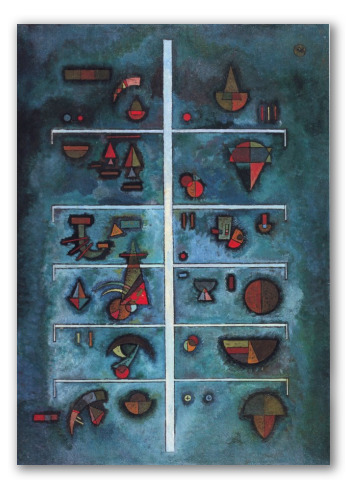 It was painted by Wassily Kandinsky in 1929. Due to the dark blue shades, this painting is ideal for decoration on illuminated walls of warm pastel colors.